There will be an activity-packed day at Nuns Moor Park on Saturday 24 February, with a number of events rolled out from late morning until mid afternoon. The day kicks off with a gardening session, suitable for all ages, at 11am. Organised by the Friends of Nuns Moor Park, the activity will be focused on tending to plant beds, in readiness for the growing season ahead. All are welcome to join in. All you need to do is turn up at the park’s Bike Garden. Tools will be provided. Participants are advised to come in warm clothing and sturdy footwear. Children must be accompanied by adults. This will be followed by a buffet lunch at 12.30pm, provided by The Jam Man caterer, with hot drinks in ready supply too. People are welcome to bring their own picnics if they prefer. Greening Wingrove CIC (Community Interest Company) will be holding its annual general meeting in the Bike Garden pavilion at 1.30pm. 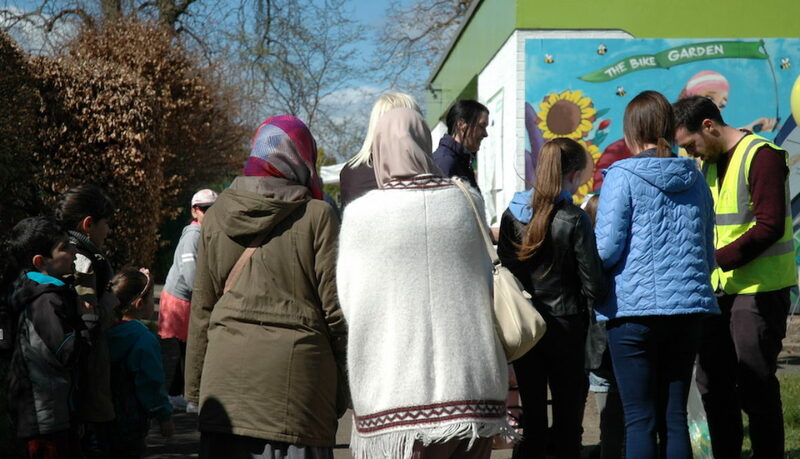 Board members will be elected for the forthcoming year, although there will continue to be more vacancies for local residents interested in supporting the work of Greening Wingrove. (Contact Greening Wingrove chair, Nigel, on 0191 273 6418 for more information). The afternoon will be rounded off with a session led by Vertical Veg pioneer Mark Ridsdill-Smith. Mark has worked in Arthur’s Hill and Fenham for the last four years, introducing local residents to the art of growing plants in small spaces, through street events and through practical hands-on advice. He will be talking about plans for the year ahead. All are welcome at this event, which will take place from 2pm, in the Bike Garden activity room (aka ‘the pavilion’).